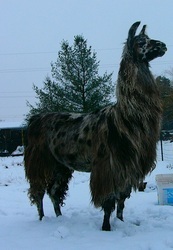 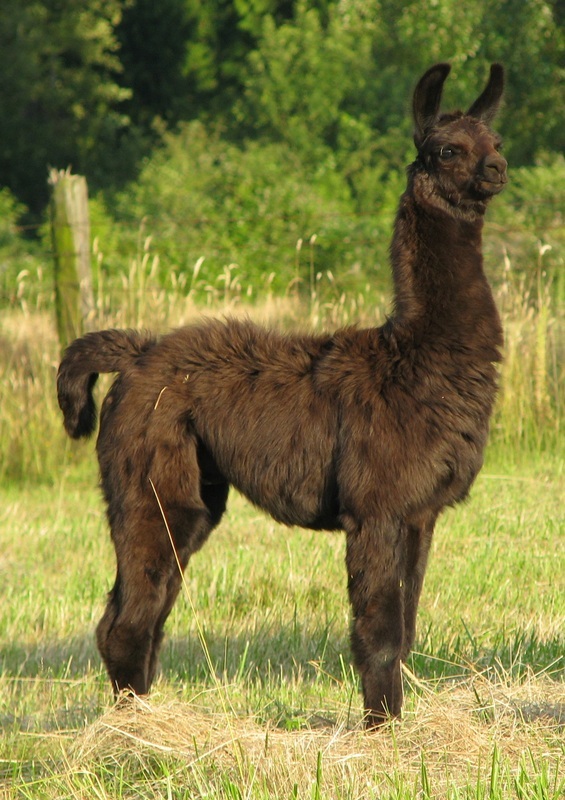 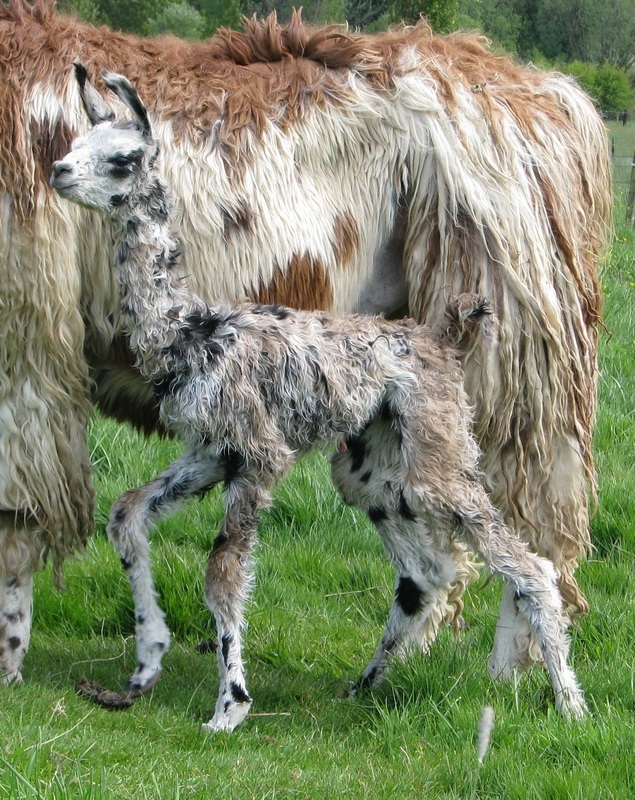 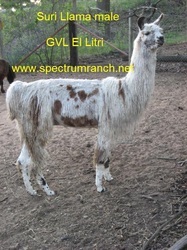 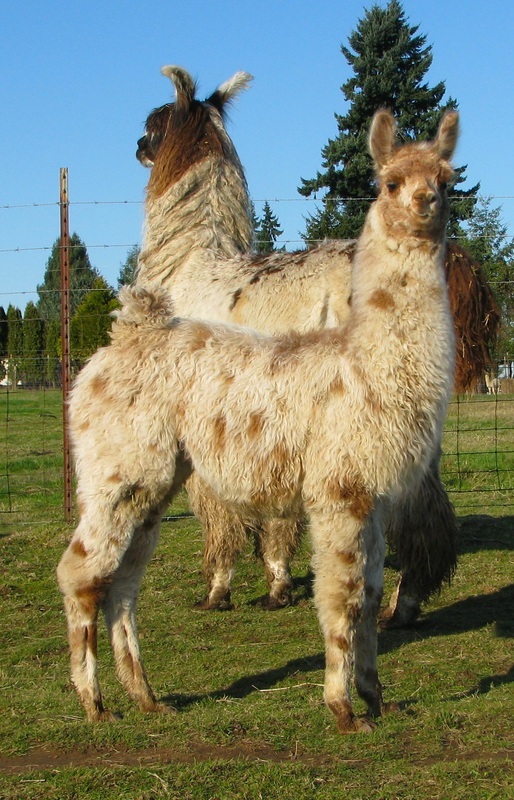 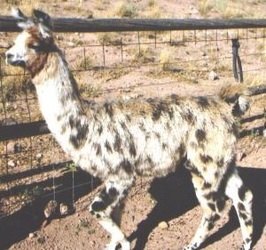 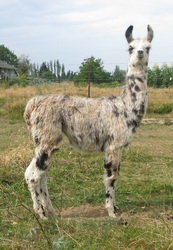 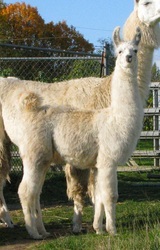 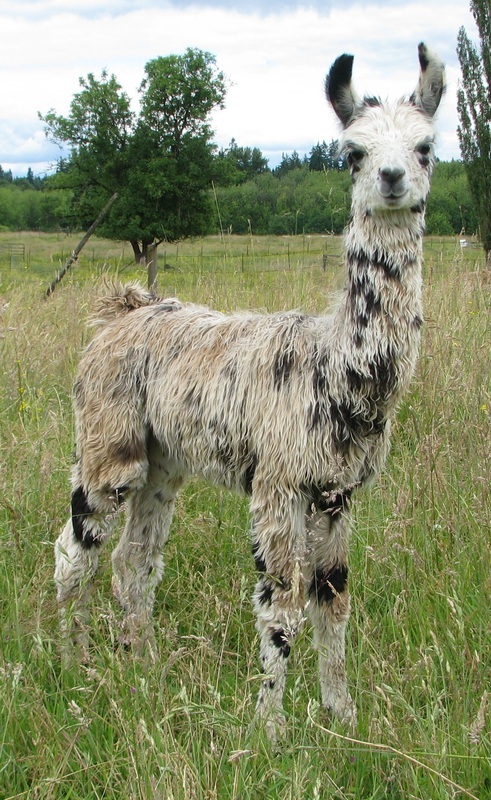 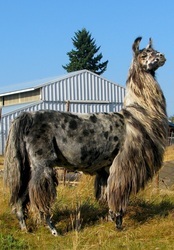 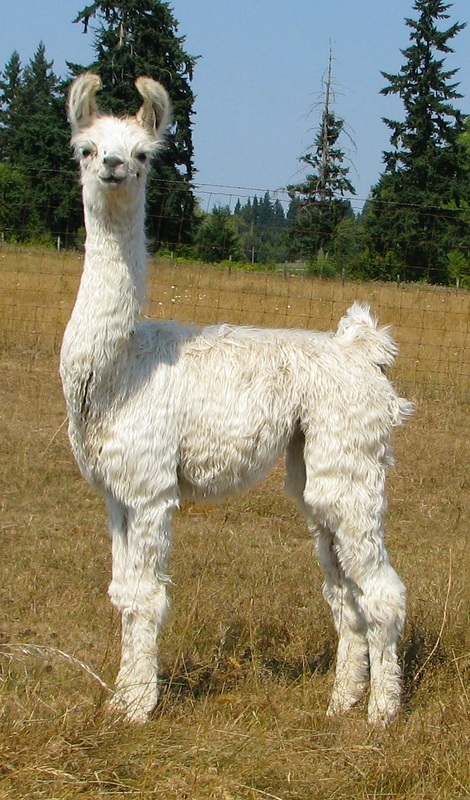 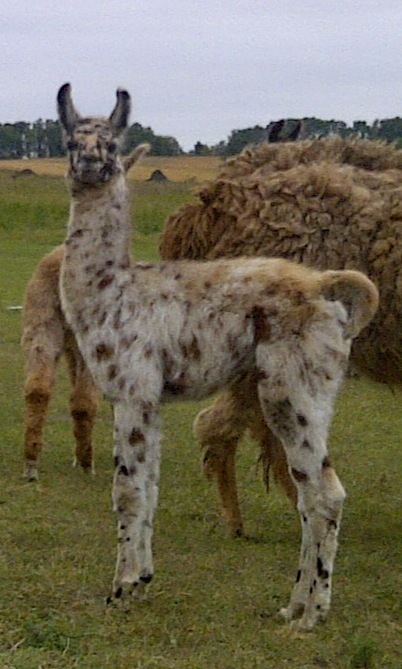 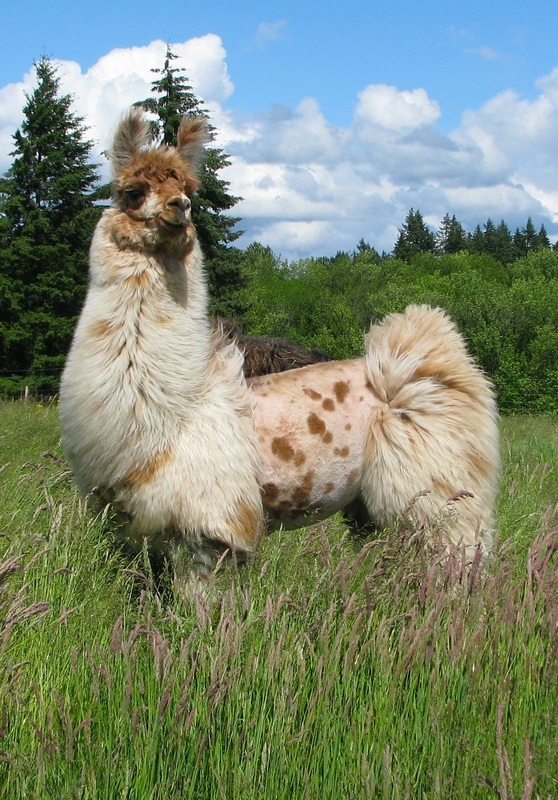 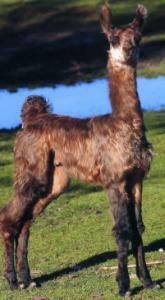 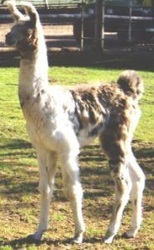 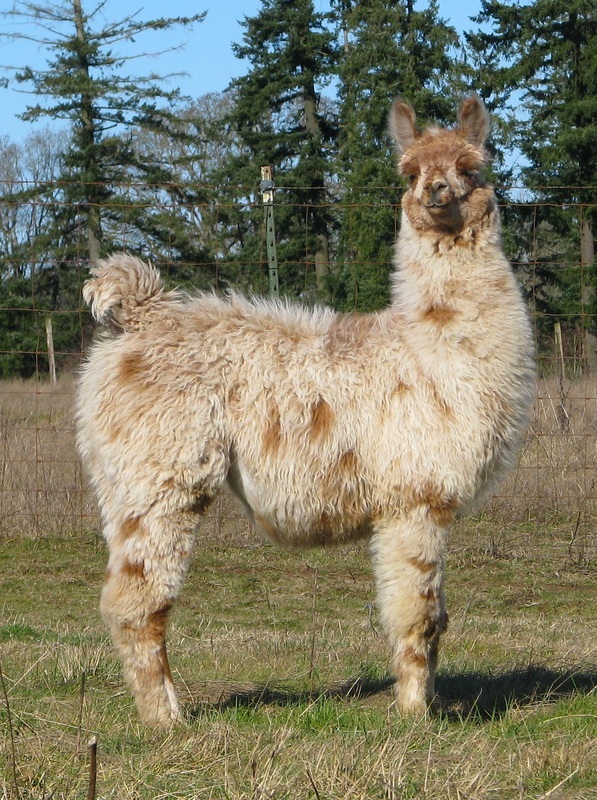 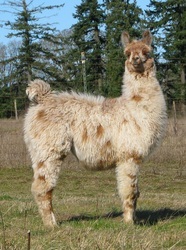 Our first appaloosa herdsire, and part of the reason we appreciate approachable, easy going llamas. We didn't retain any direct daughters, but he can be found in the pedigree of Pria and her offspring. 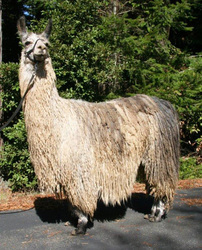 The legendary Chileno Machupicho has come to live in Washington. 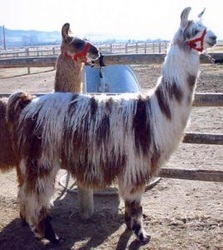 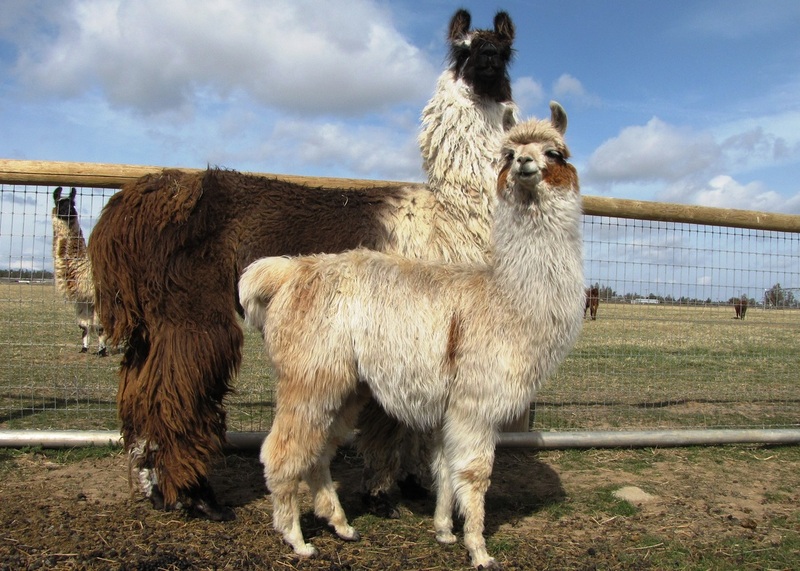 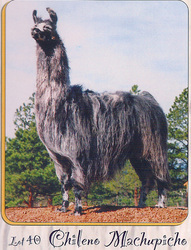 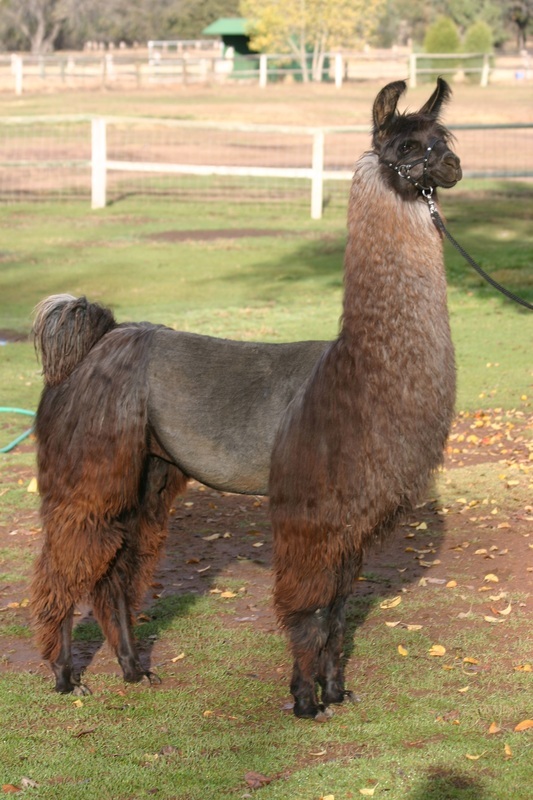 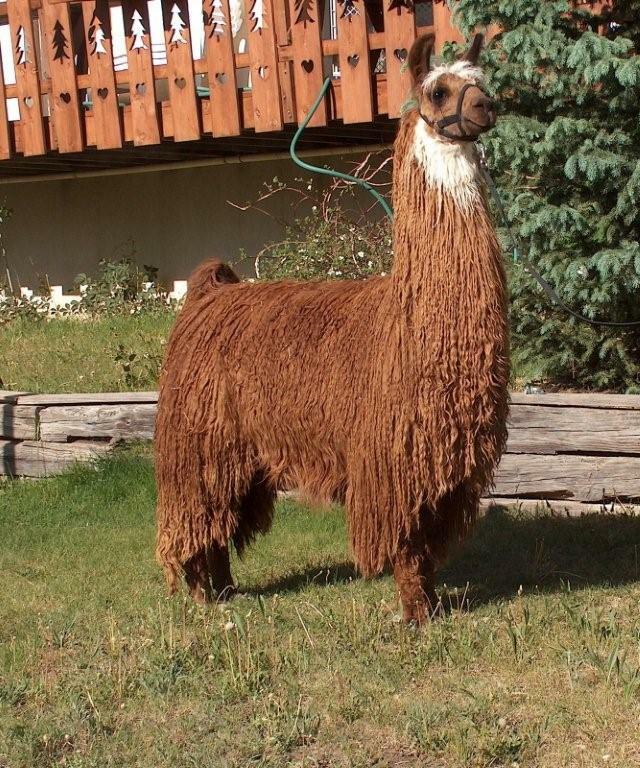 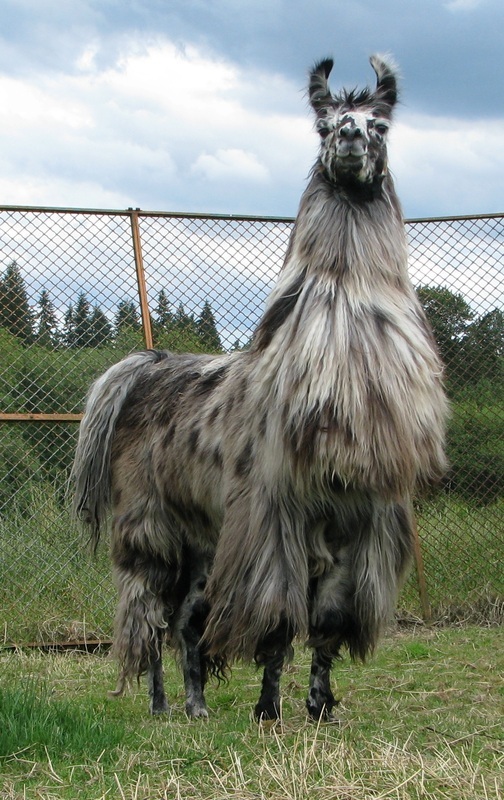 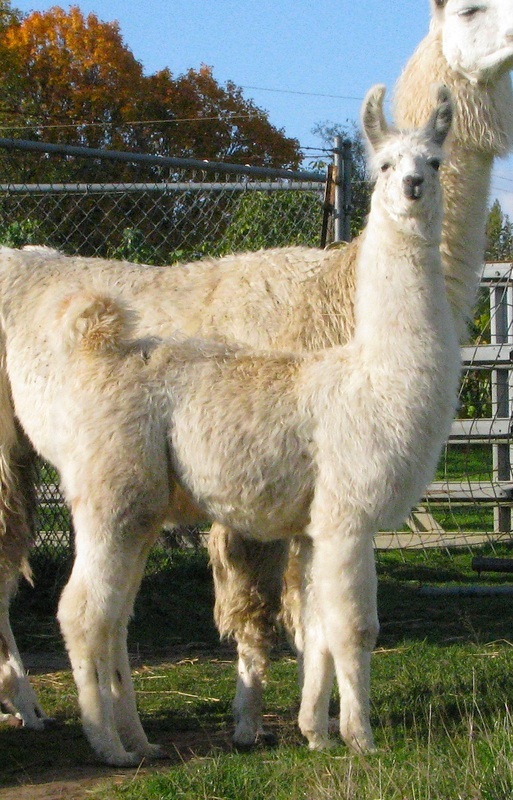 After selling for $40,000 at FFF Final Fiesta, Machupicho went on to produce many fabulous offspring for Goose Valley Llamas and Tiki llamas. 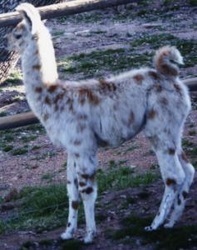 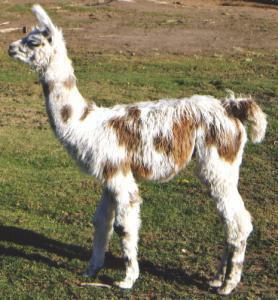 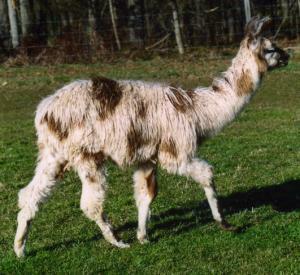 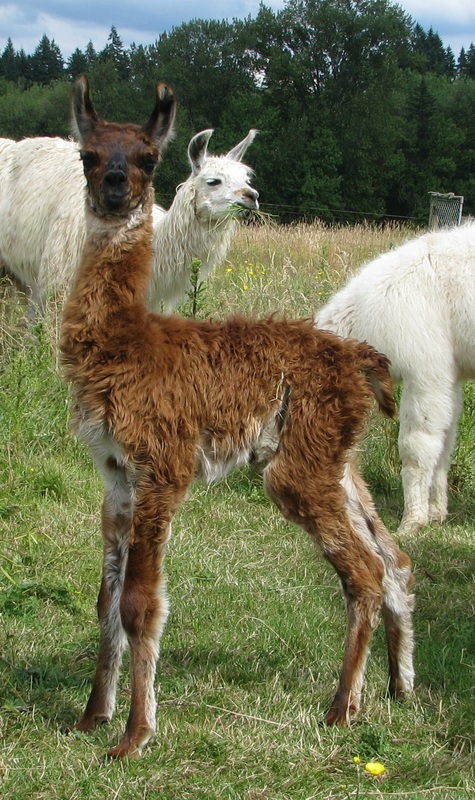 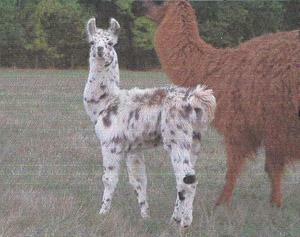 Machupicho has crossed well with both Silky and Suri females, and has produced appaloosa coloring around 1/3 of the time. 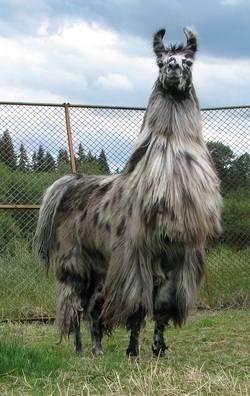 Machupicho has a very upright, regal presence about him, he struts his stuff every chance he gets. 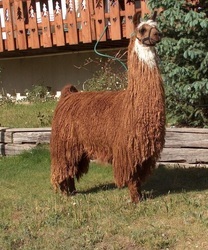 His wool is fabulous, very silky with a fair amount of lock. 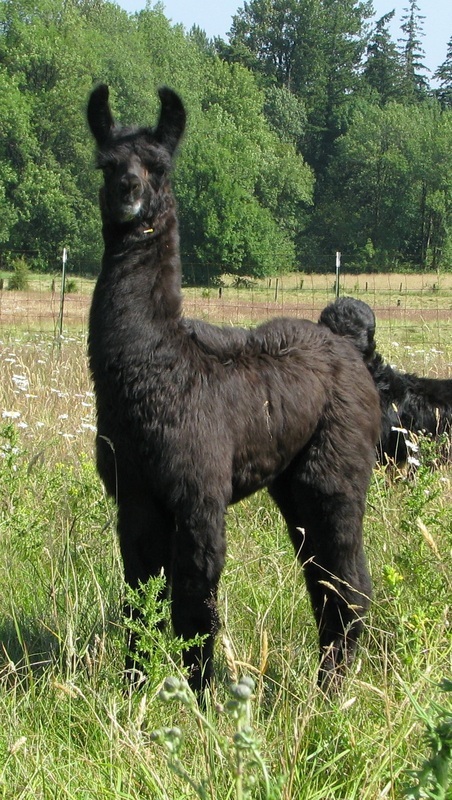 Machupicho is a very aggressive breeder, getting the job done usually on the first try. He is a complete sweetheart, I can catch him in the middle of a 5 acre field.